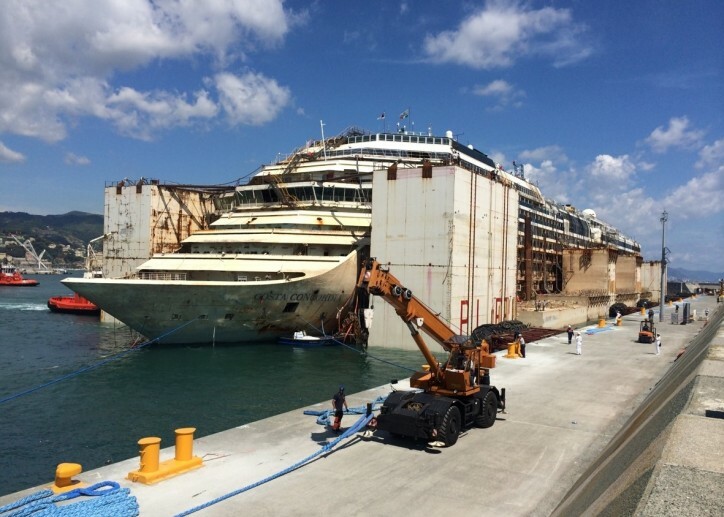 San Giorgio del Porto (SGDP) and Saipem have completed a project to dismantle and recycle Costa Cruises’ stricken Costa Concordia, which hit rocks and capsized off the coast of Giglio Island in Italy on 13 January 2012 killing 32 people. 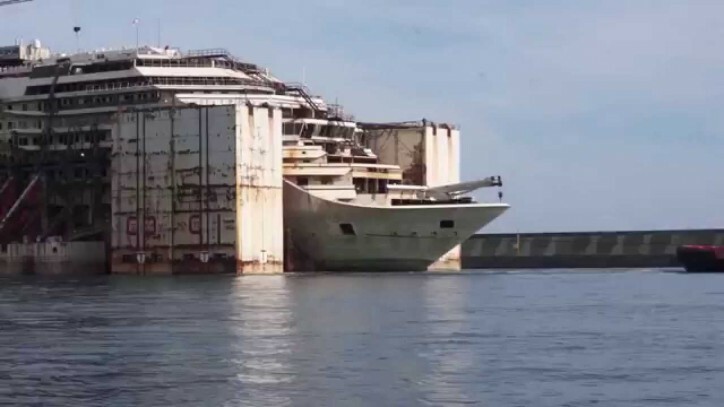 Costa Concordia was initially raised to a vertical position during a 19-hour parbuckling operation on 17 September 2013. The vessel was then left to rest on an artificial seabed in Giglio to allow the Titan-Micoperi team to carry out stabilisation work in October 2013. 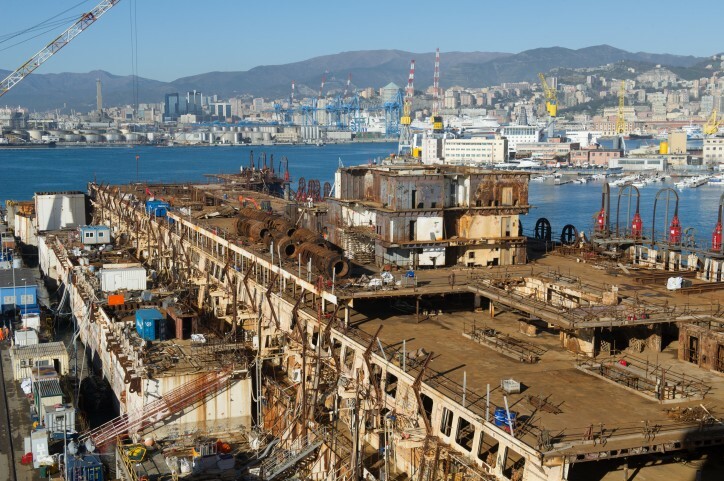 Refloating operations began on 14 July 2014, and the ship was towed to Genoa, arriving on 27 July. 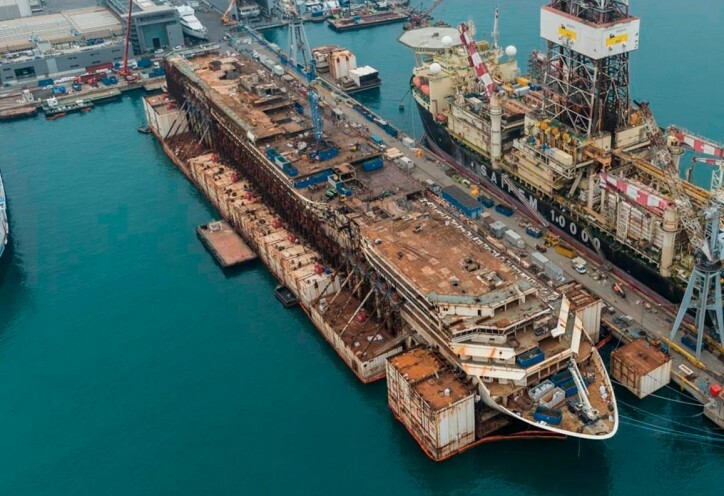 In one of Europe’s biggest and most important green ship recycling projects to date, up to 350 employees from San Giorgio del Porto, Saipem and 76 other companies (98% of which were Italian) have spent around one million hours (almost three years) recycling the ship. Around 8,000 tons of material has been dismantled and over 53,000 tons have been recycled – equivalent to 90% of the ship has been recycled. 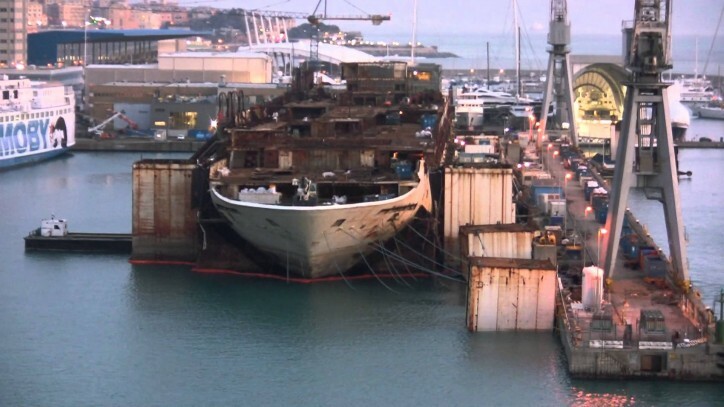 “The success of these operations represents an additional recognition of the high value of Italian naval engineering, while demonstrating the importance of a ship recycling activity that is respectful of the environment and of the safety of workers, in accordance with the most recent European regulations,” said San Giorgio del Porto in a press release.